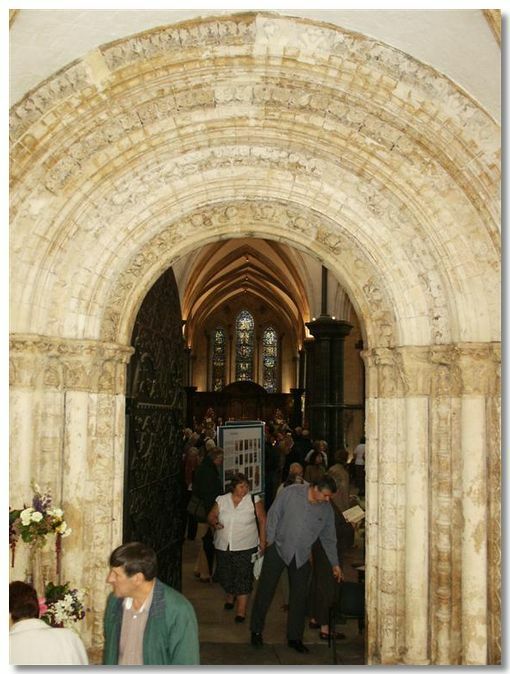 Temple Church is one of the oldest in the city, being built by the Knights Templar in 1185. The circular design of the church reflects the Holy Sepulchre Church in Jerusalem. 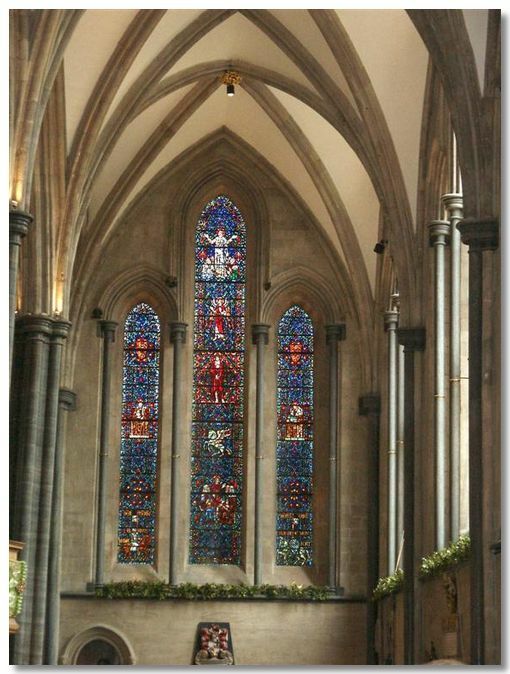 In the 13th Century Henry III built the adjoining choir, dwarfing the original church, to be his mausoleum. 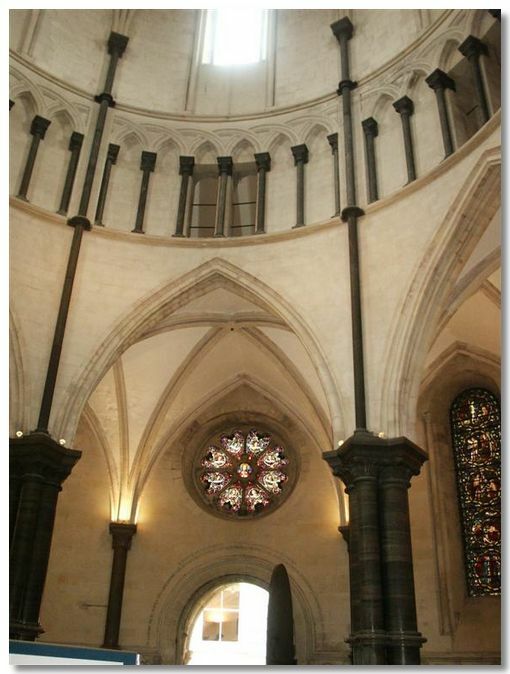 After it was built, he changed his mind and was buried in Westminster Abbey. 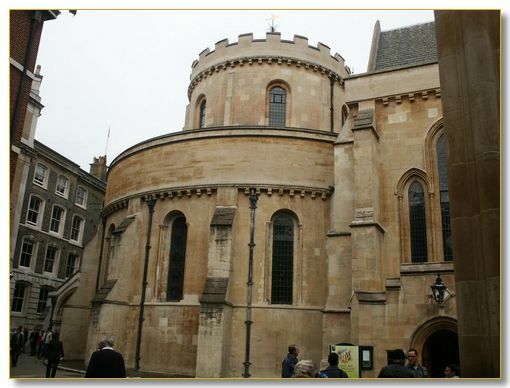 When the Knights Templar fell out of favour in the early 14th Century, the Temple Church and surrounding land was handed over to the Knights Hospitaller. Being short of money they rented the surrounding land and buildings to lawyers looking for a premises close to Westminster. The lawyers were looking for new premises as Wat Tyler had burnt down their previous ones during the Peasants Revolt. The two main colleges of lawyers became the Inner and Middle Temple Inns of Court. 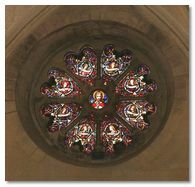 Below is the Rose Window above the West door. The church survived the Great Fire of London (1666) but unfortunately not the Blitz (1941) and so was subsequently refurbished, hence it looks so pristine inside. 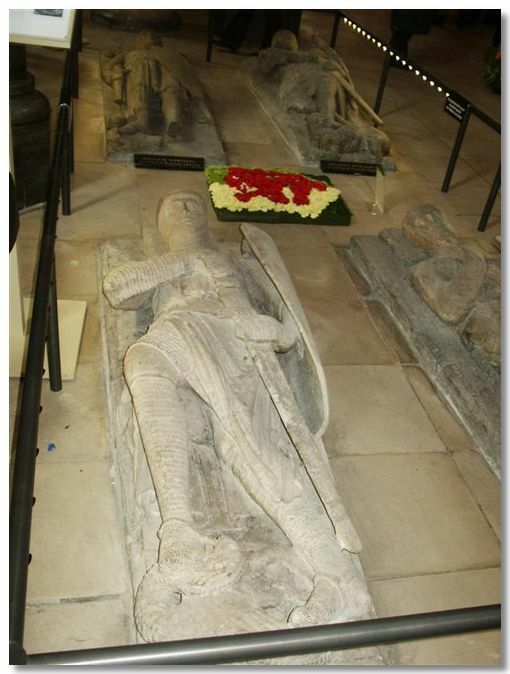 There are 8 effigies of medieval Knights on the floor of the church. 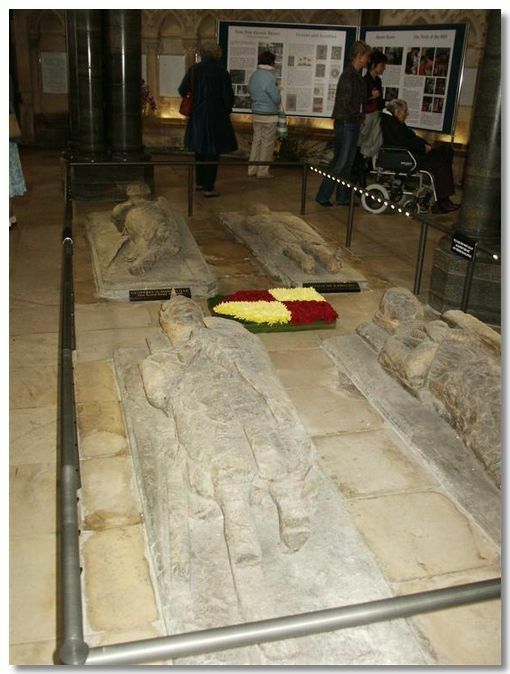 As readers of the Da Vinci Code know there are no tombs underneath these effigies. The Earl appears to be trampling on the devil - or maybe a dragon. 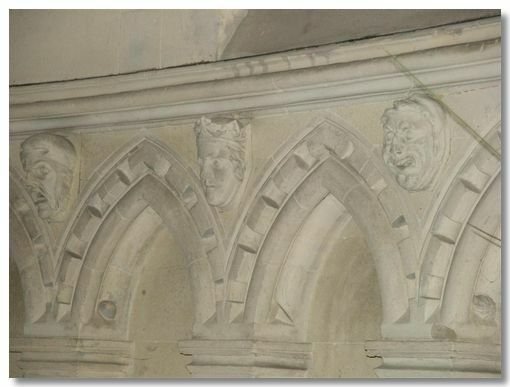 I have only ever seen gargoyles high up on the outside of churches, never on the inside. 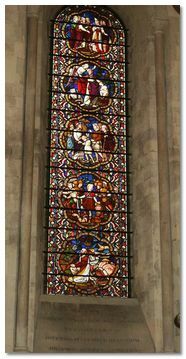 All the very ornate stained glass windows are post-war. 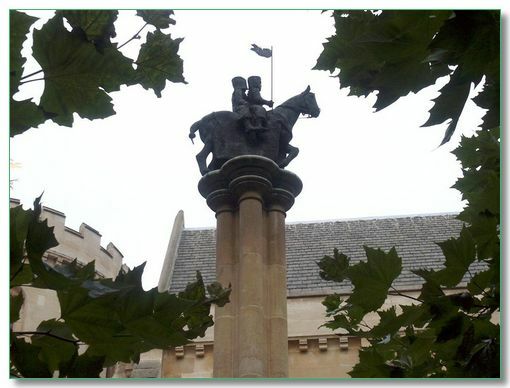 A horse carrying two knights was an emblem of the Knights Templar and was supposed to illustrate their poverty. Maybe a little disingenuous as of course they became fabulously wealthy. Apparently a badly drawn copy of two knights on a horse in a Templar manuscript was mistaken for a drawing of the winged horse, Pegasus, which the Templars then took as their insignia.